First, thanks again for being an MCRRC volunteer! MCRRC wouldn’t be able to offer the wide variety of high-quality programs we do without your active participation. This form is for members to apply for a special, personalized club runner number for 2019. To qualify, you must have done one or more of the following: worked as a volunteer in five or more club activities, contributed 20 or more hours on club projects (including coaching with an MCRRC training program), or contributed $100 or more to the club. If you qualify, please complete and submit this form, indicating your top five choices for race number (10-200 only) and exactly how you want your name printed on your runner number bib. 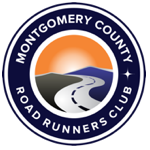 If you have any questions, please email: top100bibs@mcrrc.org. Submission deadline is 11/16/2018. *** Please note: Bibs should comprise of runner’s first name, last name, or combination of both ONLY. Alternate text may not be accepted.